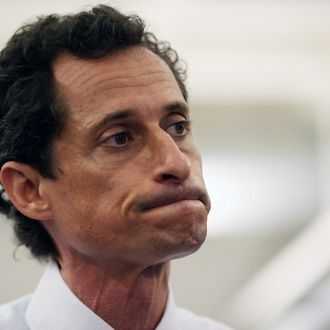 Anthony Weiner is still on Twitter. Anthony Weiner is still Anthony Weiner. Ok, to recap my day. I accidentally hit the star thingy on a @voxdotcom story about Tinder. Sorry. In related news, I did buy 1000 shares of Tinder stock. Would it be too exploitative to direct everyone to my @businessinsider column? Yeah, I suppose. Never change, Anthony Weiner. Not that it seems like a possibility.